Ever wondered how long its been since you took a vacation, started gym, or anything important or mundane took place? You don’t have you scratch your head anymore to remember all these dates/events. Introducing TimeSince for Android, a quick, easy and efficient way to track all things personal and mundane. Quickly add events by giving it a name, Started gym, a label, Personal, and date, 1st July, 2017. That’s it and TimeSince will track this event for you. Some for the mundane things in daily routine can be boring to take care of, like your phone bill, credit card bill, or laundry. TimeSince allows you to track repeating events. Whenever you paid your bills or did your laundry just tell TimeSince with just one click and it will start recounting that event again. Paid your last installment of your car or cut the cord and don’t have to pay your monthly cable bill, with touch of a button TimeSince will stop tracking it. You can still see those past events. 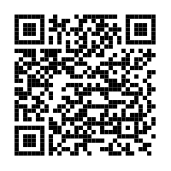 Starting today you can download the free app from Google Play click the link or scan the QR code.